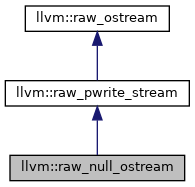 A raw_ostream that discards all output. Definition at line 538 of file raw_ostream.h. Definition at line 896 of file raw_ostream.cpp.